It was only two days ago when I gave my brief opinion on the Microsoft Surface. The tablet with Windows 8. As I've said before, it's a nifty little product. Now there is speculation and rumors of a 7" Surface Tablet, that will be XBOX branded. It is suggested that the tablet doesn't have the computing power to run on it's own, and will be tandem with the XBOX 360. Think of the Wii U.. except.. well... Yeah. 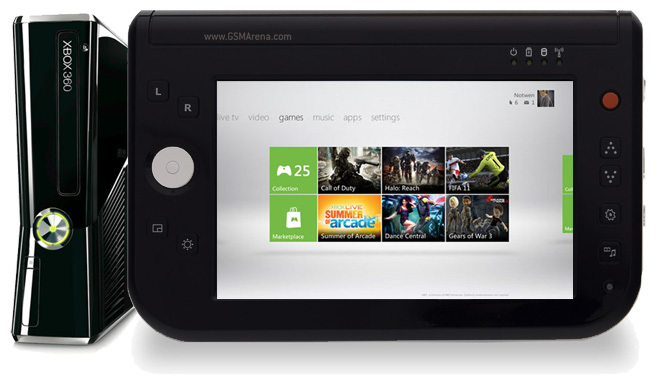 Think of the Wii U.
I think Microsoft has the technology to really make this work. So does Nintendo, but I think Microsoft really has the chance to implement this better. Is it stealing ideas? Maybe. But they aren't stealing off Apple so it's acceptable I guess. The tablet features a 7″ LED screen of 720p resolution, 288MB of RAM, Wi-Fi, Bluetooth and a regular-sized SD card slot. The battery is expected to deliver power for up to 7 hours. This is Microsoft's shot to stand out and further the life of the XBOX 360, that has had one hell of a life so far, with no signs of stopping. Alright, I seen the leaked photos of the Chevrolet Colorado in Thailand I believe, and the new Colorado looked badass! This excitement was furthered by knowing the new Colorado would be a worldwide vehicle, with minimal changes for different areas of the globe. Then I stumbled across this article of the Thailand version, and I gotta say, I'm very disappointed. The article suggests that in Thailand, they prefer trucks that resemble cars. This explains why the front looks like a Malibu. (Which I wasn't a fan of to begin with.) Another thing it shares with the Malibu is a pretty nice rear end. I really like the Silverado cues that are on this Colorado, makes it look capable. Durable. I have mixed feelings about the look of this truck. In Thailand there is a diesel version that the rest of the world has a good chance of not seeing. I am interested to learn more the closer we get to 2014. See what you think of the Colorado yourself in the article below. I should also point out, that many sources state this will hit North America as a 2014 model, instead of the 2013 suggested in the article. But who knows, maybe we will get lucky to check it out earlier than we thought! This game was exceptional back in the day. Being one of the first games to use the Mode 7 effect on the SNES, it caught my attention like no other game. The background moved independently of the track, the cars were quick, the crashes were big, and the explosions.. Oh the explosions. This game was quickly addicting, and with a great soundtrack, was a quick recipe for success. This game introduced the Captain Falcon character seen in other games, most notably the Super Smash Brothers series. The game featured four playable characters, and three cups, each with their own tracks, progressively getting harder. The cool part about this game is all four vehicles had different handling and acceleration. My favorite was the pink car, even if I thought the character was dumb. Didn't accelerate fast, but it had the highest top speed. This made for a lot of practice runs, because the slow acceleration forced you to not hit anything. 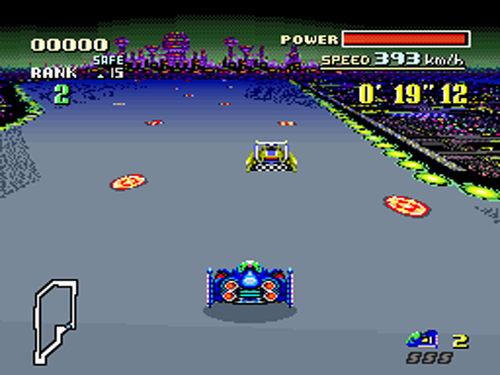 And in a game with hairpin turns at high speeds, mines and jumps, that was hard to accomplish. My favorite track was #5, Silence. This track had an excellent music track, and an extremely challenging track. Go give it a play, or go buy this game. Easily one of the best experiences that a Super Nintendo can offer. This week, Sixthsphere member The Shaolin gave us a link to a blog he will be keeping up of his progress with his RWD Rotary swapped Saturn SC1. I have read a bit into his build thread, and seen the many directions is has taken, and I have again and again been blown away by some of the things I've seen. What started out as a SOHC SC1, into a Nitrous'd DOHC, and into other incarnations, this vehicle has seen more transformations than a lot of professional custom cars have. Do yourself a favor, and take a read through his many, many pages on the Sixthsphere thread linked below, and check out the blog he is starting to update on, linked below as well to keep on top of the progress!